Last year I wrote about the various customs attached to this day, and how it all started over there in the U.S. so, as nothing has changed about that, I thought I’d just repost it, with a few words more relevant to this year. This image, courtesy of Pixabay, is particularly applicable to my husband, who was a motorbike fanatic in his youth – thankfully, before I met him! 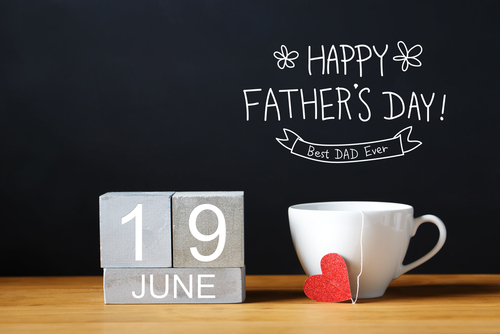 In the United Kingdom, Father’s Day is celebrated on the third Sunday of June, in keeping with the United States, where the custom originated, and many other parts of the world. This is in contrast to Mothers’ Day, which has a very different history in the U.S. and the U.K. (Happy Mother’s Day) and is celebrated on different dates. Father’s Day is a day to honour fathers and father figures, including grandfathers and fathers-in-law. Many people make a special effort to visit their fathers or to send them a card or gifts. 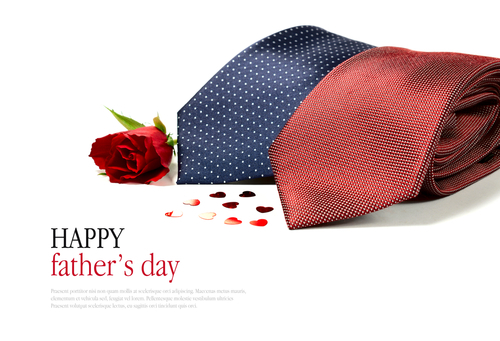 As for Mothers’ Day in Britain, children spend time making their own cards, and gifts tend to be similar to those many dads get for Christmas – socks, slippers, ties, items of clothing or perhaps a mug with a slogan like ‘The World’s Best Dad’ or simply ‘Dad’ written on it. T-shirts, mouse mats, bags and T-shirts with photographs of the children printed on them are also reasonably popular. As for giving flowers, in the U.S. fathers were traditionally given the gift of white or red roses. The rose is the official flower for Father’s Day. Wearing a red rose signifies a living father, while a white one represents a deceased father. I haven’t heard of roses being given here in the U.K. but that doesn’t mean the custom isn’t observed at all. For some dads in the U.K. Father’s Day can be a day for being taken out and treated to a pint or two down at the pub. Some families make more of things and the ‘treat’ could be a meal out somewhere special, or one of the popular ‘Father’s Day’ experiences, like driving a rally car, tank, fire engine, or even an aeroplane. Some children pay for Dad to have a golf, football or cricket lesson with a celebrity coach. 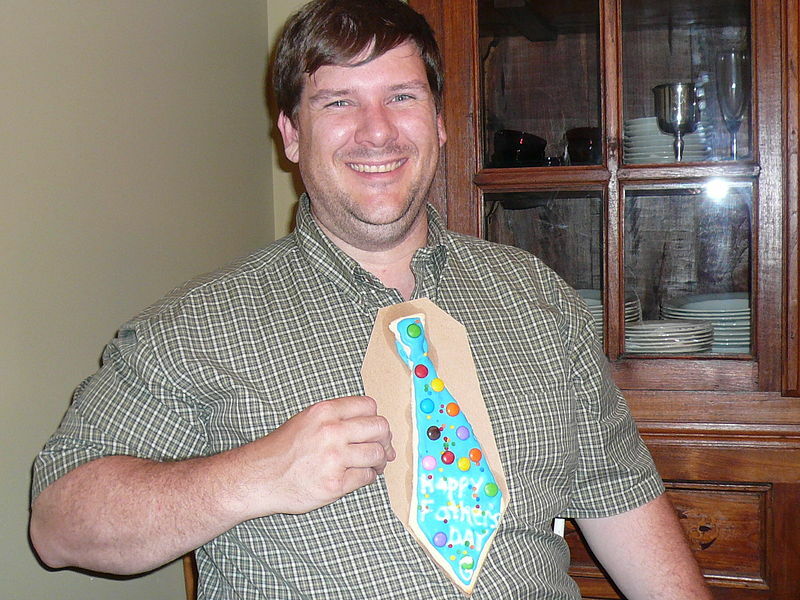 A father holding a necktie cookie on Father’s Day. Author: Dean Michaud, originally posted on Flickr, terms compatible with Commons. 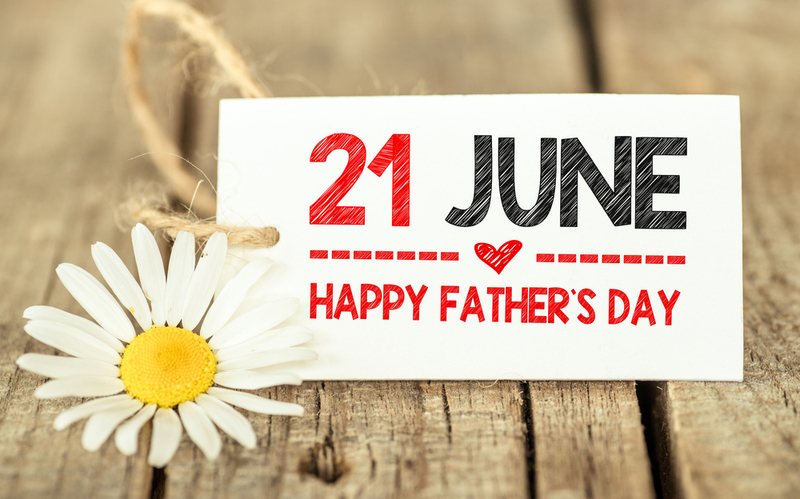 There are two versions regarding the origins of Father’s Day in the United States. Some people maintain that it was first introduced in 1910 by a woman called Sonora Smart Dodd who was inspired by the work of Anna Jarvis, the woman who had pushed for Mother’s Day celebrations. Sonora’s father raised six children by himself after the death of their mother, which was uncommon at that time, as many widowers placed their children in the care of others or quickly married again. So Sonora felt that her father deserved recognition for what he’d done. The first Father’s Day was held in June 1910, and was officially recognised as a holiday in 1972 by President Nixon. Sonora Smart Dodd. Image from Wikipedia. Others in the U.S. say that Grace Golden Clayton from Fairmont, West Virginia, should be credited with the idea of Father’s Day, after she suggested a day to celebrate fatherhood in 1908, following the anguish of the Monongah mine disaster in December 1907. Officially, 362 men died, in that disaster, 250 of them fathers, leaving more than a thousand children without a dad. It was America’s worst mining ­accident. Most of the men were Italian migrants and the actual death toll is estimated at nearer 500. Grace Golden Clayton, whose father was killed in the tragedy, suggested a service of commemoration for this lost generation to the pastor of her local Methodist chapel, and the first Father’s Day took place on July 5, 1908. But Grace’s idea didn’t spread outside this isolated mining settlement. It took off two years later, after Sonora Smart Dodd’s campaign – only to fall into disuse soon after until the 1930s, when it slowly gained official recognition. President Richard Nixon proclaimed it a national holiday in 1972. I must confess that until I looked this up last year, I didn’t know the origins of Father’s Day in the U.S. I knew the custom started in America but, like many other people, I assumed it was either another money making racket on behalf of the gift and card industry, or a way of keeping things equal with Mother’s Day – which is partly true. In our house, the children usually come round with presents around lunchtime. 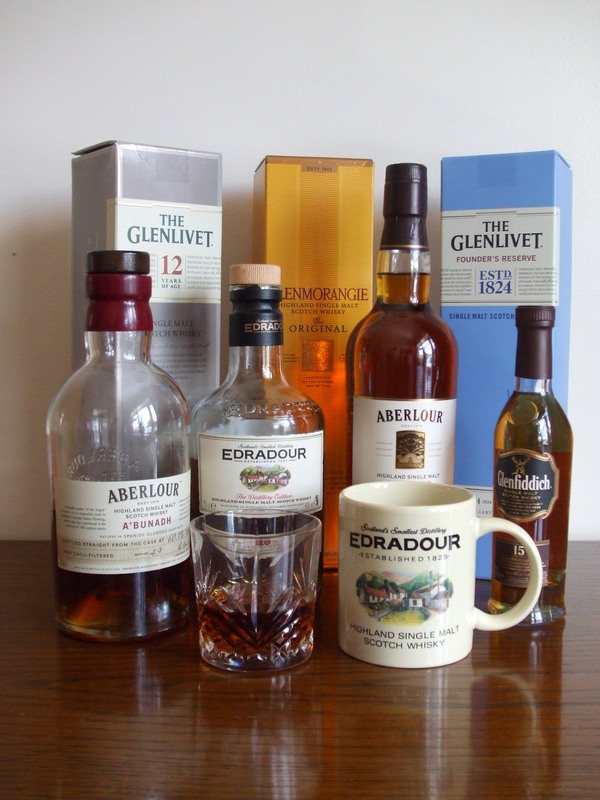 The usual gifts from our sons is some type of malt whisky, although there will often be a box of chocolates as well. The girls, Louise and Nicola, tend to go for something from the Garden Centre – or vouchers for him to spend there, as he’s an avid gardener. Our youngest son, who works in various places abroad, generally sends some kind of plant via Interflora or suchlike. We have lots of plants and flower in our garden that started life in wicker baskets, and they’re doing very nicely. In Germany, Father’s Day (Vatertag) or Men’s Day (Männertag) is celebrated differently from other parts of the world. 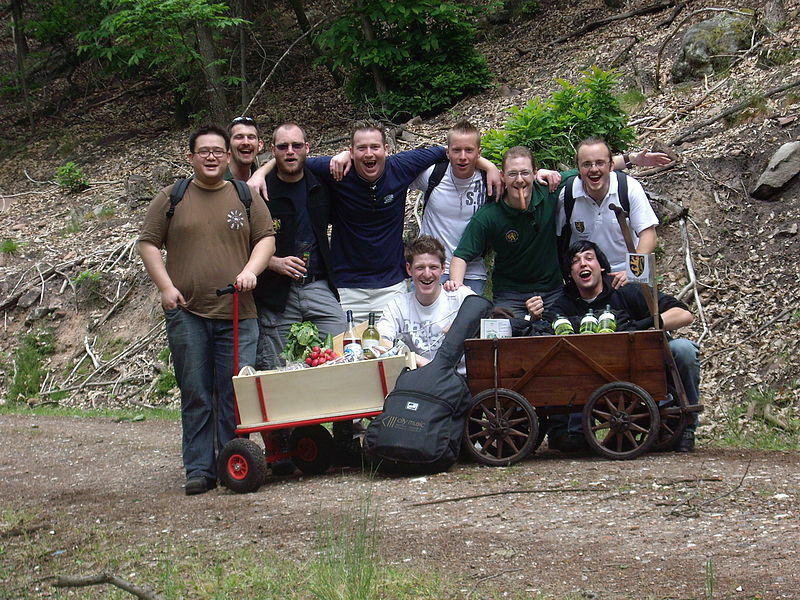 Groups of men go off into the woods with a wagon of beer, wines and meats. Heavy drinking is common on that day and traffic accidents tend to rise, causing police and emergency services to be on high alert. Some right-wing and feminist groups have asked for the banning of the holiday. Father’s day with a kick, I’d say! In China, Father’s Day used to be on August 8. This was because the Chinese word for 8 is ‘ba’ and the colloquial word for father is ‘ba-ba’. It has now been moved to the third week in June to keep in line with other countries. In the United Kingdom, Father’s Day is celebrated on the third Sunday of June, in keeping with the United States, where the custom originated, and many other parts of the world. This is in contrast to Mothers’ Day, which has a very different history in the U.S. and the U.K. (Happy Mother’s Day). Many countries outside of Britain celebrate Mothers’ Day in May, whereas in Britain the date varies according to the date on which Easter falls that year. Most often it falls in March. Father’s Day is a day to honour fathers and father figures, including grandfathers and fathers-in-law. Many people make a special effort to visit their fathers or to send them a card or gifts. As for Mothers’ Day in Britain, children spend time making their own cards, and gifts tend to be the same as many dads will get for Christmas – socks, slippers, ties and various items of clothing. Sometimes mugs are bought with slogans like ‘The World’s Best Dad’ or simply ‘Dad’ written on them. Items like T-shirts, mouse mats, bags and T-shirts are sometimes offered to dads with photographs of the children printed on them. As for giving flowers… In the U.S. fathers were traditionally given the gift of white or red roses. The rose is the official flower for Father’s Day. Wearing a red rose signifies a living father, while a white one represents a deceased father. I haven’t heard of roses being given here in the U.K. but that doesn’t mean the custom isn’t observed at all. There are two versions regarding the origins of a special day to honour fathers in the United States. Some people maintain that it was first introduced in 1910 by a woman called Sonora Smart Dodd, who was inspired by the work of Anna Jarvis, the woman who had pushed for Mother’s Day celebrations. Sonora’s father raised six children by himself after the death of their mother – which was uncommon at that time, as many widowers placed their children in the care of others or quickly married again – and Sonora felt that her father deserved recognition for what he had done. 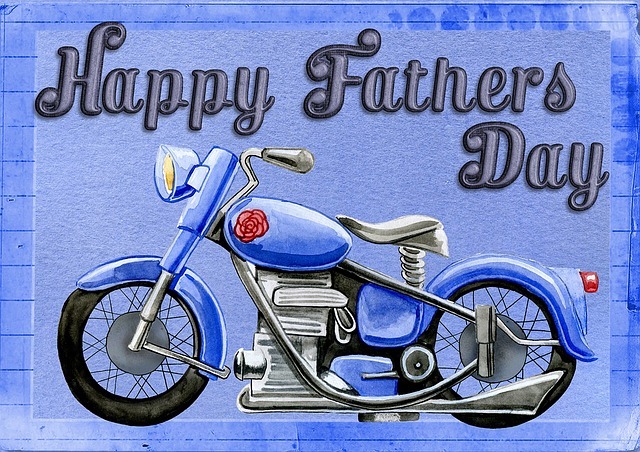 The first Father’s Day was held in June 1910, and was officially recognized as a holiday in 1972 by President Nixon. Grace Golden Clayton, whose father was killed in the tragedy, suggested a service of commemoration for this lost generation to the pastor of her local Methodist chapel, and the first Father’s Day took place on July 5, 1908. 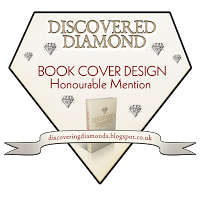 But Grace’s idea did not spread outside this isolated mining settlement. It took off two years later, after Sonora Smart Dodd’s campaign. Father’s Day again fell into disuse until the 1930s, and then slowly gained official recognition. President Richard Nixon proclaimed it a national holiday in 1972. I have to confess that until I looked this up, I didn’t know the origins of Father’s Day in the U.S. I knew the custom started in America but, like many other people, I assumed it was either another money making ploy on behalf of the gift and card industry, or a way of keeping things equal with Mother’s Day – which is partly true. In our house, our children usually come round with presents. This year, they’ll probably start arriving later this afternoon. The usual gift is some type of malt whisky, although sometimes there will also be the odd box of chocolates. Our youngest son, who works in various places abroad, often sends some kind of plant for our garden via Interflora or suchlike. We have lots of plants and flowers that started life in wicker baskets, and they’re doing very nicely. In China, Father’s Day used to be on August 8. This was because the Chinese word for 8 is ‘ba’ and the colloquial word for father is ‘ba-ba’. It has now been moves to the third week in June to keep in line with other countries.